Boyds Bear Country Gettysburg Exclusive; Boyds Bear Country Gettysburg Exclusive. This 10" brown bear features a green sweatshirt with the BBC logo on the front and "I Survived Boyds Bear Country" em..
Boyds Bear Country Gettysburg Exclusive; Boyds Bear Country Gettysburg Exclusive. 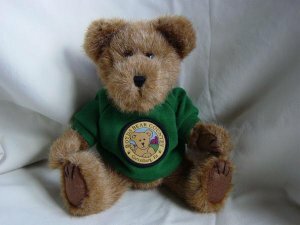 This 10" brown bear features a green sweatshirt with the BBC logo on the front and "I Survived Boyds Bear Country" embroidered on the back. Only one piece remaining in stock!! !